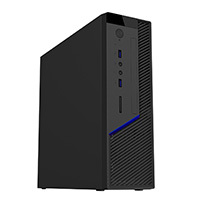 CiT MTX-008B Mini-ITX Case can be put vertical or horizontal, you can install a slim laptop ODD on the front panel. The MTX-008B has thicker steel and measures at 0.6mm to provide a stronger and stable PC system. CiT MTX-008B chassis has no black coating inside for matching CE & EMI and it comes with a tool-less PCI design. 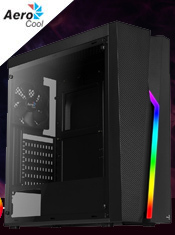 The CiT MTX-008B chassis comes with an 8cm cooling fan to help the PC system create the best airflow during use meanwhile it supports TFX PSU's to provide enough power when the user installs high performance CPU's. 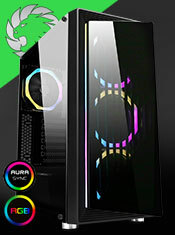 Desktop Chassis - 7.5L SFF desktop chassis. CE/EMI - CE/EMI approved design. Cooling - Comes with 1 x 80mm front fan. Power Supplies - Supports TFX power supplies.